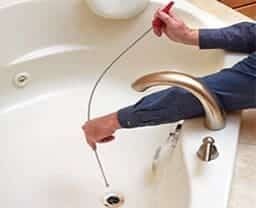 Call us any time for clogged bathroom sink drain cleaning in NJ at 201-645-0888. How To Unclog Your Bathroom Sink: Do It Yourself easy Tutorial Hi, there folks! We’ve got a bathroom sink that is backed-up and we’re going to show you how to unclog it. We turn on the water and you see that the sink is backing up. o, we definitely have a problem in the sink, and drain cleaning will be needed. So here’s what we’re going to do. Check it out! Step 1 is clean up under the sink. We take all the stuff out. If the water is still holding in the bowl, then I suggest you put a bucket or a little container underneath here, right under that U trap area and take it apart. We just unscrew the nut. This is the one where the stopper assembly rod is going into your pipe. So we pull it back and pull it away in order to get the stopper out from the drain. And you will likely see soap scum everywhere and inside the drain there is probably a lot of stuff, hair, maybe even floss. So, what you’re going to need for that one is a coat hanger, a metal coat hanger and a plastic bag. And this is what we do with the coat hanger basically (turn the top into a hook). 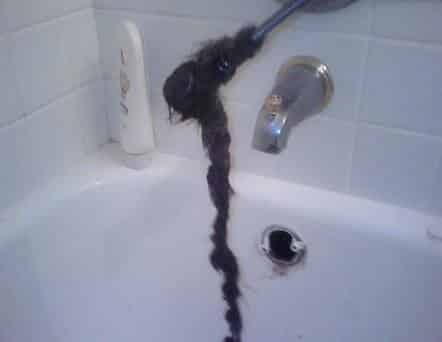 And we get it in the drain and scoop up all the hair and all the stuff that’s in the drain. 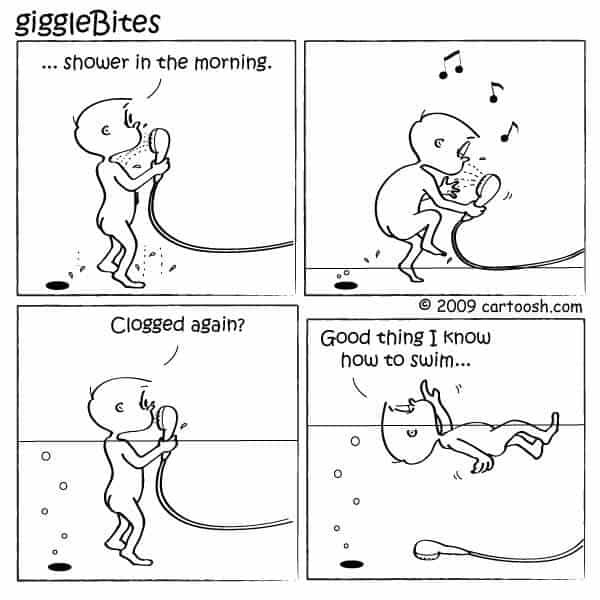 There’s soap scum here, grease, that’s basically always the cause of the clog in the drain. And if someone says that you should pour some liquid in the drain in order to get rid of all that stuff then they are lying to you, because this stuff is not going away with any chemical. Unless it’s an acid. But then again, the acid will also get rid of the drain, so you don’t want to do that. There’s a lot of stuff in there. You just scoop it all up, make sure it’s all clean. And clean up inside the drain as well, as much as you can with a paper towel, just to make sure it will be nice and clean, clean like a vessel. Put back your stopper inside the drain and go underneath and put back inside your stopper assembly or rod you just took out earlier. So put it on back. Just make sure you get those threads right because if you don’t you may have a problem with the leak later. Make sure there’s no leaks also underneath the as you may have put on your stopper in a little wrong , so just take it apart and put it in again. So this is how we take care of the bathroom sink when it’s clogged. 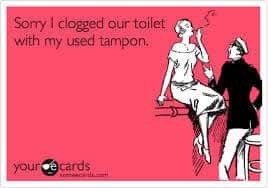 And if you want to learn more on how to fix your own plumbing and your own drain cleaning, then please call us: 201-645-0888. 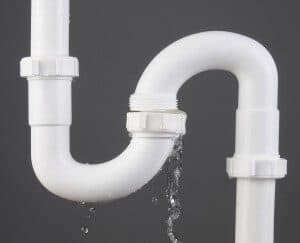 At A1 Sewer & Drain Services, we provide professional sewer and drain cleaning, for those problems you can’t fix with enzymes and a toilet brush. Call us any time for drain cleaning, drain repairs, sewer repair, and more in NJ, at 201-645-0888.